Embrace machine learning approaches and Python to enable automatic rendering of rich insights and solve business problems. 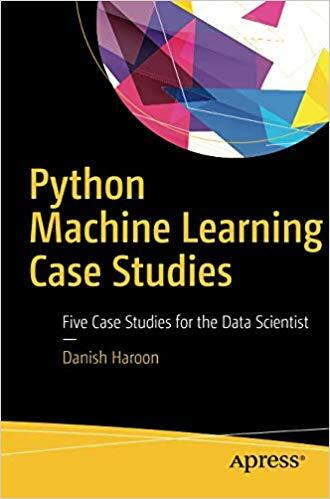 The book uses a hands-on case study-based approach to crack real-world applications to which machine learning concepts can be applied. These smarter machines will enable your business processes to achieve efficiencies on minimal time and resources. the rationale behind model selection and decisions within the machine learning process. The book is equipped with practical examples along with code snippets to ensure that you understand the data science approach to solving real-world problems. Data scientists, data analysts, artificial intelligence engineers, big data enthusiasts, computer scientists, computer sciences students, and capital market analysts.